Domestic Violence is abusive behavior that occurs between family members or intimate partners. Intimate partners include your current or former husband/wife or boyfriend/girlfriend, your child’s mother/father, or a partner that you live with or used to live with. Domestic violence can take the form of physical, sexual, psychological, or economic abuse. The abuser has been arrested. What happens now? After an arrest, the abuser will appear before a judge. This is called an arraignment. An attorney will represent the abuser, and an Assistant District Attorney will represent the People of the State of New York. The case against the abuser is brought in the name of the People of the State of New York, not your name. At arraignment, the judge can either set bail, hold the abuser in jail without bail, or release the abuser, who must then return to court on a future date. Usually the abuser is arraigned within 24 hours of his or her arrest. At arraignment, the Assistant District Attorney can ask the judge to issue an Order of Protection. An Order of Protection is a court order that instructs the abuser to refrain from certain conduct, including harassing, intimidating, threatening, assaulting, or stalking you. In addition, the order of protection can instruct the abuser to refrain from having any contact with you, whatsoever. If the abuser violates the order of protection, he or she can be re-arrested. Learn more about Orders of Protection. Find domestic violence shelters, including relocation for senior victims. Can you still help me if I don’t want the abuser arrested? In an emergency, call 911. If you are unable to do so, you should go to the police station nearest to where the abuse has occurred. If you have suffered an injury, you should seek medical attention and have photographs of your injuries taken. You should also photograph any potential evidence of the abuse, such as broken furniture, torn clothing, or a damaged phone. Finally, you should take “screen shots” to preserve any messages (voice mail, text, or email) which may be helpful in the investigation and prosecution of your case. The NYPD has a domestic violence unit in every precinct in New York City. Officers in this unit are specially trained to handle domestic violence cases. Call your local precinct to speak with the domestic violence officer. If you are in immediate danger, call 911. Adult Protective Services (APS) is a state-mandated case management program that arranges for services and support for physically and/or mentally impaired adults who are at risk of harm. APS seeks to promptly resolve the risks faced by eligible clients with service plans that will enable these individuals to live independently and safely within their homes and communities. Prospective clients may be referred by anyone. New York City Anti-Violence Project provides services to gay, lesbian, bisexual and transgender victims, including counseling, advocacy for legal issues, support groups, and community education. Barrier Free Living provides services to disabled domestic violence victims, including advocacy, individual counseling, support groups, skills training, shelter referrals and help in obtaining orders of protection. Services are available citywide in English, Spanish, Creole, and American Sign Language. Manhattan Legal Services provides victims of domestic violence with legal representation in Family court (for custody, visitation, and child support matters) and help in obtaining orders of protection. Services are available in English and Spanish. WOMANKIND provides crisis intervention, safe shelter, counseling, advocacy, and community education with specific consideration to unique issues faced by Asian battered women. Services are available in English, Chinese, Hindi, and other Asian language or dialects. Northern Manhattan Improvement Corporation provides domestic violence victims with crisis counseling, shelter/housing assistance, court accompaniment, referrals and legal services. Services are available in English and Spanish. Sanctuary for Families provides domestic violence victims and their children with shelter/housing assistance, counseling, advocacy, referrals, support groups and legal services. Services are available in English, Spanish, French and other languages. CONNECT Legal Advocacy Program provides domestic violence victims with advocacy for criminal and family court issues, shelter, public assistance and immigration. Services are available in Spanish and English. Violence Intervention Program provides domestic violence victims with crisis counseling, advocacy, support groups, community education, referrals, and shelter. Services are available in English and Spanish. 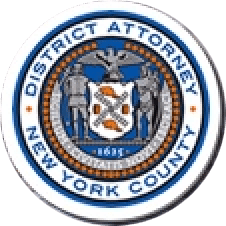 A service which provides victims of crime through the telephone or internet information regarding release dates for inmates in the custody of the New York City Department of Correction and New York State Department of Correctional Services.